In brief: Arthur Arutkin has outlasted a collection of Europe’s finest athletes to claim week one of the 2018 EuroTour on the Dutch coast. 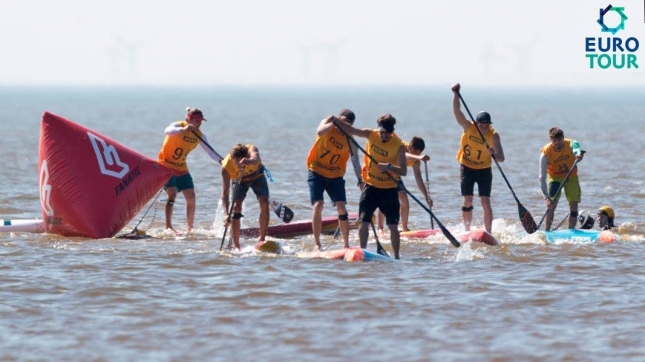 The Frenchman was too good for the Danish Viking in the long-running “Battle of the Coast” race, while the EuroTour’s winningest athlete Leo Nika rounded out the podium ahead of French name-to-watch Tom Auber and the junior Nika brother, Leo. In the women’s it was the under-rated Spaniard-turned-Tuscan local Susak Molinero who saluted ahead of Holland’s leading duo of Petronella van Malsen and Emma Reijmerink. Full recap coming soon; follow The Euro Tour on Facebook and Instagram for regular updates and the complete week one photo gallery. The Tour continues next weekend in Belgium with the long-running Namur Race before continuing on in France, Greece, Spain, the Basque Country, Germany and Finland. We’ll be there from week three onwards with the live streams, and if the first stop is anything to go by, it’s going to be a hell of a summer!